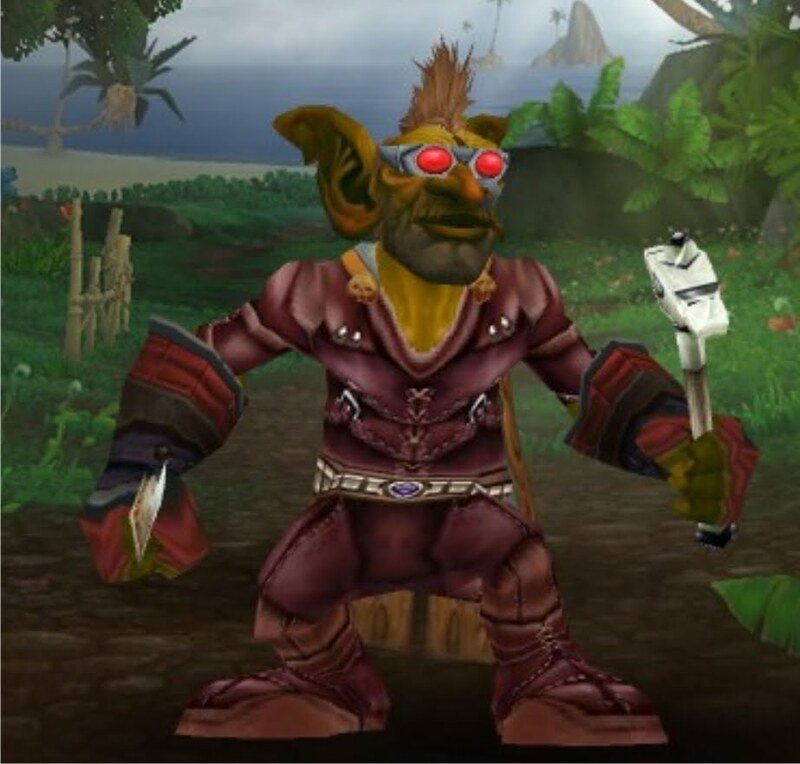 Warcraft Less Traveled » Blog Archive » Warcraft Less Traveled #44 – Goblin Amusement Park? Warcraft Less Traveled #44 – Goblin Amusement Park? This entry was posted	on Friday, April 1st, 2011 at 12:04 am	and is filed under Podcast Episodes. You can follow any responses to this entry through the RSS 2.0 feed. You can skip to the end and leave a response. Pinging is currently not allowed. Hahahaha! Very nice April Fools. You had me up till you couldn’t confirm where the tunnel to the Undercity went. Great podcast! Keep it up! WOW, although I kind of already knew where you were going with this, I have to admit that I listened to it all the way through, and just imagined what that kind of fun that would be if it truly DID exist. I love this segment in All things Azeroth, please keep up the good work, and if ever you need an exploration partner I would love to accompany you. I just have to ask… what is the stack size of Old Ironjaw? This episode was so well done and imaginative. All your shows do a great job of encapsulating the story presented within wow. I think with this episode you were able to show you can create great stories as well. You have to be kidding! I’m listening to the podcast and emailing my son, “we gotta go to this”! What a let down. Good job Skulnic. Best April Fools joke I’ve had in a long time. Moolii! Very good question. Well, let’s see… From my careful calculations, the answer is 20. Yes, a stack of 20 Old Ironjaw fish are necessary for the special Goblin Waterslide to appear. Then again, I’ve never been that good with fish math. DustyBucks – I originally was going to have the tunnel lead “under the seabed and toward Exodar”. With that, I considered making the Exodar’s entrance to the Goblin Carnival “in plain sight”… but since no one is ever in Exodar, it was simply missed after all these years. Thanks for the kudos! Was fun to put together. Nunicus – Appreciate the kind words! My main travels are with toons on Bronzebeard, Arygos, and Argent Dawn. I am always looking for help with exploration and finding new ways to view Azeroth. I kindly ask that if you do happen to find someplace similar (hidden beneath The Crossroads, for example) rewarding you Tier Gear for playing pinball, please let me know. Taco: Those silly internets with all their trickery. Who knows? We still haven’t seen the final version of Old Ironforge that Blizzard will be releasing soon… you cannot completely rule out the possibility that a carnival dunk-tank could be setup next to Magni Bronzebeard. Gotta love April 1st. RJ – Putting the show together each week takes a great deal of planning & work. I am very honored that you and all other loyal listeners to the show are enjoying the many audio journeys. Many thanks for the kind words. May the fleas of a thousand camels infest your armpits. Well done now I’m going to spend the next hour trying to get this hook out of my mouth. That would have been awesome. Being a Horde player I would have been so tempted to go there. Had me right up until you said the name of the goblin who sells the tiger mount. “Fiction”. Immediately realized I’d been had.